Download the latest release of official RAR APK for Android. WinRAR is a file archiver utility tool that lets you compress and decompress data. Click the link to Download RAR APK Android. 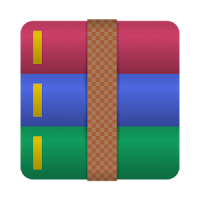 The Famous RAR file archiver utility tool is now available for the Android Operating system. WinRAR is a file compression and archiver tool developed by RAR Labs for Windows and recently it has been announced for Android OS as well. You are can download WinRAR APK free latest version for Android simply by clicking on the link below. RAR Lab’s RAR has many great features for Data compression, File Archiving and you can use this tool as a File Explorer as well. It was basically Developed for Windows Operating Systems but Recently the Developer’s has released a free Android Version Called “RAR for Android”. The Current and latest Build for Android is RAR 5.50 Build 46 and distributed as Freeware for android users which means you can use this software for free and use life for a time. it might contain ads, you can eradicate ads simple with a litter donation to the mention developer address. WinRAR 2018 for Android works similarly likes its Desktop version its a very easy and quick compression application the best free archiver, assistant, extractor, manager, and even a basic file explorer. You can create RAR and ZIP and unpack RAR, ARJ, ZIP, TAR, BZ2, XZ, 7z, ISO, GZ archives with RAR Tool. This amazing application and Android Tool is most powerful and it has found perfect File Archiving application till up to date, as it comes with great features for file archiving, data compression and it also allows you as file explorer to explore files and folders indirectly from your smartphone and tablet. The Following are the list of things WinRAR can do for you. Create RAR files, ZIP files, and RAR4x files directly to your Smartphone and Tablets. Un-Pack RAR files, ZIP files, TAR files, GZ files, BZ2 files, XZ files, 7z files, ISO files, ARJ File Archives for free. It will Use Multi CPU Cores to Compress your Data to Save Maximum Storage in files. You also can create Password Protected.Zip files and.RAR Files. You can also Explore your Android Files directly Using RAR as a File Explorer. During the extraction of files, you can set Destination for Extracting your Files and files will store on specified location on your Phone Storage or SD Card. The best feature you can also Test Archive files for any damages. With rapid repair system, you can set broken and damage ZIP files and RAR Files. Translate RAR files into any native language you speak.